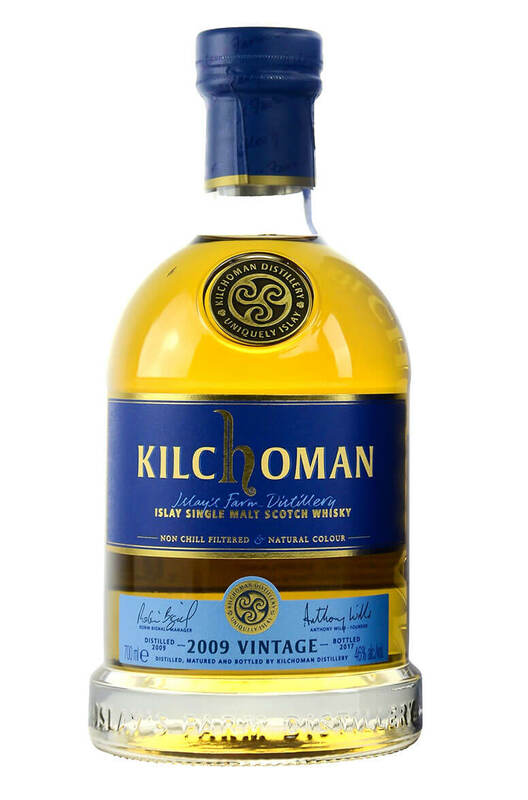 A superb expression of Kilchoman Single Malt, aged for 8 years in a combination of Bourbon barrels and Oloroso Sherry butts for eight years. “The evolution of Kilchoman single malt is well represented through our Vintage range. Now at eight years of maturation, the balance and depth of character coming through on both the nose and the palate is incredible. The oloroso sherry influence in the 2009 Vintage compared to the previous releases has given this whisky a different dimension with layered fruit and added sweet notes." Taste Soft sweetness first and peat smoke and ripe fruit notes following. Finish: long, clean and sweet with peat smoke and soft fruits at the end. Nose Lemon, citrus and butterscotch notes are prominent with soft peaty aromas in the background. Types of Barrel used for Aging Aged in both ex-Bourbon and Oloroso Sherry casks.